Image Space Incorporated has released an update and new content for their rFactor 2 simulation. Image Space Incorporated has released an update for their rFactor 2 simulation that has been released as open beta in January. Some fixes to overlay/gauge rendering to make it more SLI friendly. Fixed HDR problem for frame times greater than adapt ET. Avoid flashing one frame of the options while driving in realtime (could happen if server went to next track). Fixed up various HDR issues. More complete tire heat from damping (currently optional but won’t be forever). Improved tire damping heat application and made more configurable. Prevent display and system sleeping (ded servers will only prevent system sleeping). Added new finish criteria “% Track Laps” and “% Track Time” in case you don’t want the percentage of both which is what “% Track Defaults” does. Doubled the maximum number of sounds. Added fix for AI not to avoid other cars in private session (since they’re invisible). Improved terrain sampling so that AI physics handles painted lines correctly. Fixed logical error that would have prevented some plugins from running properly. Tweaked plugin message interface to allow chat commands. Added chat commands to results stream. Added new filters to mp lobby. Fixed bug where one frame of mis-sized vehicle or track selection shows up on main menu coming back from switching RFMs. Increased camera mobility around ôReflected Floorö showroom. Tracking power loss in tire tool. Furthermore, new content for the beta has been released as the new World Endurance GT pack brings the Nissan 370Z & Nissan GT-R GT race cars alongside a brand-new track: Palm Beach. The update and the new content can be downloaded below, check out the video below to see the brand new Nissan in action at Palm Beach. Both the update and the World Endurance GT pack are available as torrent downloads, the update can be installed via the AutoUpdater feature as well. To get access to the the rFactor 2 beta, a full retail purchase of rFactor 2 is required. 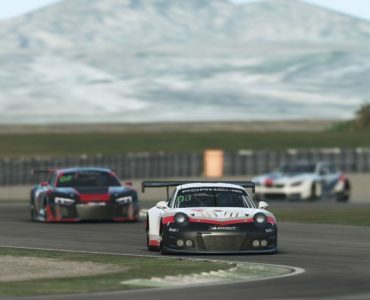 rFactor 2 sells for $43.99, including 18 months of online account membership instead of the 12 months buyers of the final version will receive. You have to admit that rFactor 2 is starting to improve on the graphics front. I saw a TeamVVV video recently that made it look like it’s come up a bit. It will never rival Assetto Corsa or Project CARS due to them being DirectX11 native and putting more emphasis on it. After feeling like I’ve wasted a bit of money on iRacing recently I’m trying to convince myself to get in on this rFactor 2 Beta. I’d like to feel this FFB that everyone keeps raving about and see if it’s true. It is TRUE!!! FFB is the best I’ve felt (including iRacing) You can even feel the camber of the road pulling the car!! rF2 tire model is way better then iR’s NTM that means if you can go fast in rF2 you will go even faster in iR’s NTM. It’s worth I’ve got 100% iR content and don’t regret buying rF2! DX11 is not some extra magic, DX9 can do virtually anything DX11 can. Only DX11 does it much better. It’s already better than iRacing IMO so i say go for it if you value FFB in a sim. Only problem is, you won’t want to race anything else after you have felt it. I had just rejoined iRacing for 3 months to test the NTM… I never even launch the stuff anymore, I was used to the OTM and anyways, rF2 is vastly superior *FOR ME* in terms of FFB compared to both the OTM and NTM. Yeah but, performance still a big joke!!! With C.A.R.S in DX11 with high end computer ( HD6990, i5 2500K etc… in eyefinity) i´m able to run at full detail without any problem, in RF2 the performance is a big joke, i wonder when they will do somethink to multimonitors or if they will support nice features for multimonitors like Iracing has. At this point i´m starting to feel regreted to buy lifetime licence…….. There is also the Sebring 12h race tomorrow. And the F1 on Sunday. FFB is good but iracing IS the best sim out there right now, if you have money to support it, stick with it!!!! So you won’t be iRacing all alone half of the time? the final version or a beta? Well rFactor2 is still very much in beta, I’d be surprised if ISI doesn’t adjust the content after bugfixing the code… So I’d say beta… But that’s just me, wait for Tim for anything official. I remember reading Tim on rFactor2 forum saying it was beta and had problems that will be fixed later. I hit 60fps on a track with my 3 screen setup, everything high, 4x AA, 16x AF and HDR on. My jaw hit the table…. was very pleased with that. In the graphics department pCARS looks still ruins it for everybody else at the moment,. Still don’t have the feeling i’m in a 2012 game environment. But the driving experience feels very solid, so absolutely a step in the right direction. Hardly have time to review all this beta software we have now and whats coming up. The two new nissans IMO really show off what is going on under the hood of rF2. 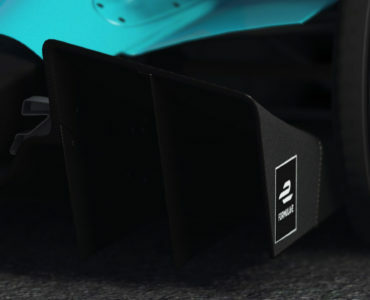 Anyone that says that rF2 still feels like rF1 should really try these two new cars and i’m sure you will come back with a different opinion. This tyre model now even unfinished is way beyond anything else right now, the cars are also of beta stage and feel through the wheel better than any other sim car i have ever driven. The FFB is just stupidly good. The 370Z is bonkers you can throw it into opposite lock and regain it, it feels so convincing though the way it happens. The sounds of the GTR from the AI cars is just insane, so gnarly and beastly as they go by. The track detail in the new track is also really good, has a real iRacing quality to it. Maybe new Nissans don’t look to good but feelings / FFB and physics are great and this is what I’m expecting from new gen sim. rTrainer, Historic OW and both Nissans are top cars in rf2 for me, and they are (in terms of physics) one of the best in simracing so far. New track is also really good. Close to finish or not ISI has said countless times, that development of rf2 will continue, way past release date. Is there a non torrent download for the gt cars? and where can i get palm beach? 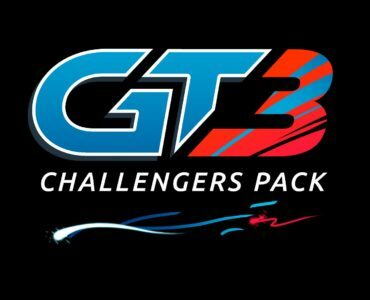 Palm Beach is included already in the GT package. I am having huge issues with this update and I cannot find anyone else with a similar experience, although others are having their own problems they are different than mine. Yesterday I downloaded the torrent for the Nissan and the update 60>68. I drop each in the proper folder (“updates” dir and “packages”) then I launched the launcher and clicked on the “Update” tab. In the tab is says “Build 60” and “rFactor 2 version … 1.029″. I have tried re-downloading the package, I have tried executing the .exe. Nothing. Incidentally, in the “updates” directory was still the previous update. Proof that at least once I did the process successfully. I have no clue what could be going wrong here. The nissan GT was also pretty strange. I first drop the package in the proper directory, but it does not show up in the Mod Manager. Finally, being unable to update the game anyway, I give up and go to run some laps and that’s when I see the mod appear among the other mods in the list. I click on “Install” and sure enough it installs very nicely. I go to Long Beach to give it a spin and what I see is pretty bad. The car is semi-transparent. I am kissing the dashboard and a bunch of other stuff, allowing me to see through the front of the car to the asphalt. I get on track anyway and the sound is reminiscent of Gran Prix Legends. It’s basically some dreadful loop with hardly any dept to it. Not since the 90’s I have heard an engine sound so bad in a game. I also look at the other cars and their model is ghastly. They look like cartoons. It felt to me like I was driving an early version of Mario Kart. I turn off and restart to see if things improve and they certainly did. This time I took the Nissan to Mills and now I can see the full car interior. The sound is actually really good and sort of guttural. The other cars are nicely detailed and the Nissan itself drives very nicely once I soften up the suspensions a bit and decrease the steering lock (this is a problem with all the rF2 cars). You can also ask for refund and wait for GOLD version. Or instead of giving up on first try like feels3 suggests, you could wait for version 69 that ISI is currently compiling for the issues some people have, like you. It should be available in the next hours, dixit ISI on Facebook. I have had pCARS since the very first day they made it available. We are actually testing rF2 for use in our league and no, I am not asking for a refund or if I listened to everyone’s opinion on this site I’d be playing Mario Kart on my Wii having returned every other sim I own. I am happy to hear ISI is working on a new update package. I didn’t read about it anywhere last night, so it must be something they came up with in the meantime. The biggest issue is that I wanted to try the New GT mod online, but all the servers with that mod have been updated to the new version so I can’t join them. We are actually looking for a new sim for our league and we are going to be looking at pCARS, rF2, GTR3 and Assetto. Currently we are using GTR2 but it’s getting a bit long in tooth. So ? Did it solve your issues ? Don’t listen to their non sense, I’m having the time of my life on rF2… the GT are amazing ! trying hard to justify my $43.99 rfactor2 purchase, but i can’t stop playing 10euros pCARS, then when i go back to rfactor it looks so bad, worse than original game i know its early days and the physics are great, but can’t see the graphics improving that much and the physics and FFB on pCARS are catching up. might give up on rfactor and try and get a refund pCARS is better for me rfactor is a big let down. ok, after this “big” update I know what to do…. I love the driving…………….from bumper cam. The cockpit feels very 2d and i dont know what the hell is up with the nose cam, just looks like a blob rather than the hood of a car. Pcars has spoiled me because it just looks so good. I want to love you rfactor 2 and I will stick it out but ffs modders, get us some decent content lol. Even isi`s stuff cor rfactor wasnt that good, but the mods made it better. Agreed also on the basic rF1 content, but apart from the nose cam, you have to admit ISI made huge progress in rF2. Those few cars and tracks are only a sample of what we’ll have in the gold master, and ISI said explicitely that the GT pack was a beta version in need of work. I, for one, just love how subtle are the differences between the Megane and the Japanese GTs ! I wouldn’t get all hyped up on WSGT2, we all know the sounds, modelling & textures are brilliant, and we hope they have made big gains on WSGT 1 in the physics department. However whenever you clump together a bunch of cars from vastly different racing classes and make them all perform similarly there must be physics changes cause in not way in hell will a GT500 car keep within shouting distance of a LMP car. Now if only they just concentrated on 1 series at a time like eg a super GT series. BTW, lovely driving skills, Nismo ! I like this one too, at Mid-Ohio with the 370Z : http://www.youtube.com/watch?feature=player_embedded&v=up3Y9AOy4us#! the update ist ok, a small step though and the real issues remain untouched (rfmod system, no customizing), but hdr looks better and the performance (fps-wise) is ok, too. But with this speed it will be difficult to go gold in 2012. The new track is…. a track, nothing special. And the Nissans are horrible, models, textures, sounds, physics, cam views… rfactor 1 stock content level. I know they´re not supposed to be final, but I don´t think the next update will change everything. I really like the historic cars and tracks, if this would not be here, I´d refund. It’s scary how bad this game is looking. And worse how the physics aren’t much better – if any – than rfactor. Gosh, I loved rFactor. So much that I started to model cars just because of it. The graphics on rfactor 1 never felt outdated. Even today they still look alright, even pretty. And the physics, are still great. On rFactor2, just for start, the sky texture just seems to be lifted from Grand Prix 2 from 1996. It is that bad. The physics are still wrong, the lack of low speed grip just kills it for me. It’s stupid to transition from high speed and low speed just to have the car skidding like it suddenly went from the tarmac to ice. Even GT5 and Forza can manage that now. It’s unbelievable how bad it is. It’s worse than rFactor 1 on that. 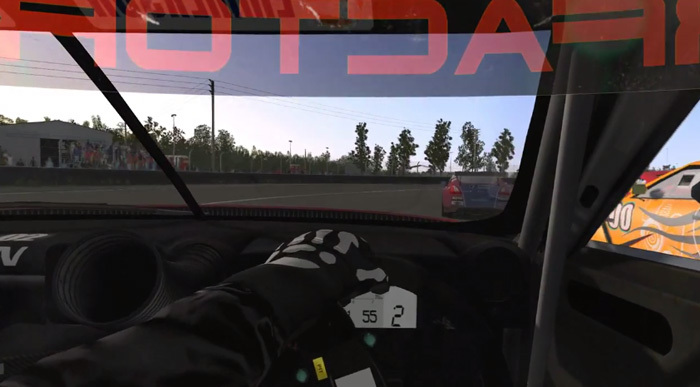 I’m looking forward to pCars and Asseto Corsa, they are both a fresh approach to sim racing. I wish I could love rFactor 2 like I still love the first game – and most of the games derived from it (Race series, GTR2 and what not) – but rFactor 2 is too much crap. The new content looks and feels old already. It’s so sad.